We’re still kind of geeking out over this cast iron plate setter for the Big Green Egg. Last week we were baking pizzas on it. 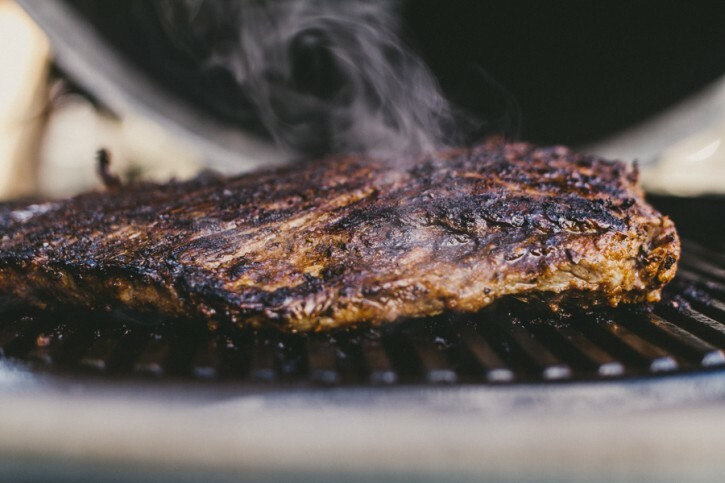 This week we’re grilling flank steak directly on top. 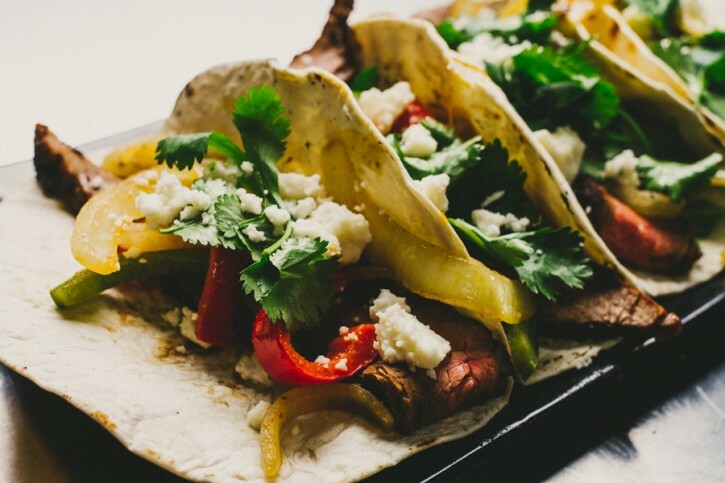 This is a pretty classic, solid fajita recipe that is simple and easy to translate to whichever cooker you’re using, so non-Big-Green-Egg users– read on, as well! 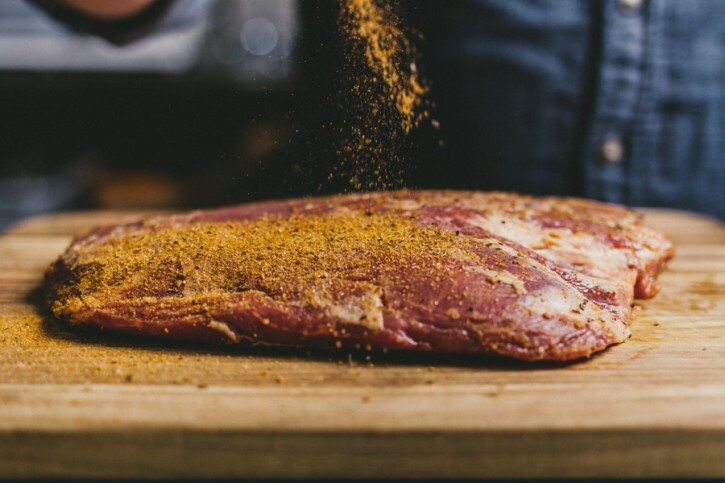 Fresh out of a smokey habanero bath/brine, we’re hitting our flank steak with a classic fajita seasoning from Obie-Cue’s. Cooking directly on the cast iron produces great color and flavor. 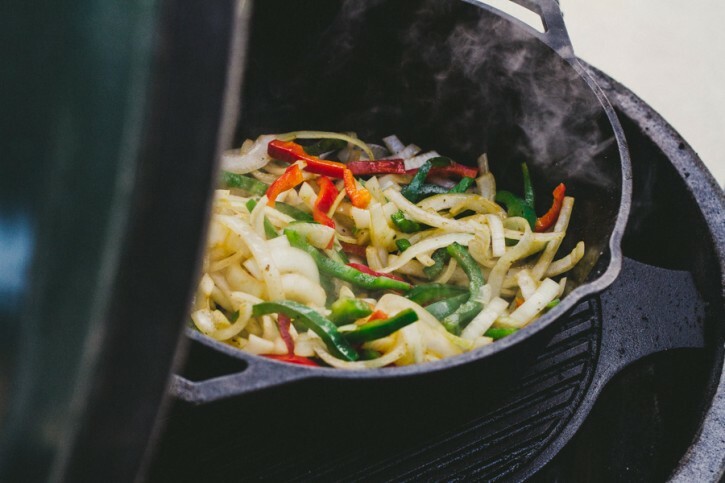 A Lodge 7 quart dutch oven is a perfect fit for the XL Big Green Egg, and does well to contain your veggies while they cook. THIN SLICES! 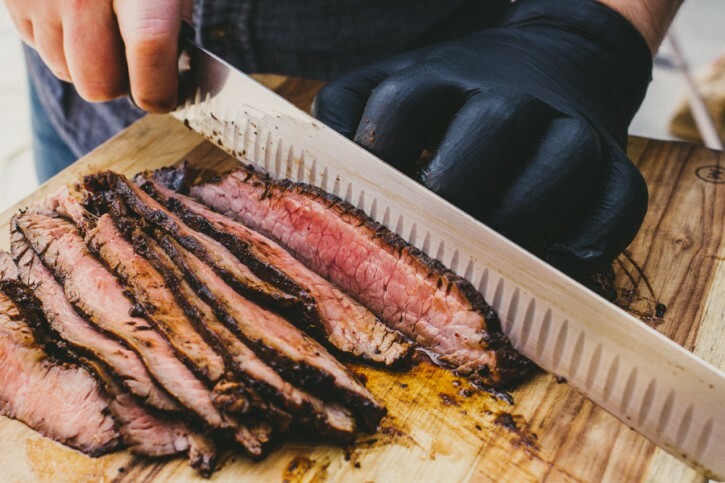 Flank steak is a tough cut. Even when cooked properly. You want the muscle strands as short as possible for the most tender bite. Trim any excess fat and silver skin from the outside of the flank steak. Place in a zip top bag with equal parts Sweetwater Spice Smoked Habanero BBQ Bath Brine Concentrate and water. 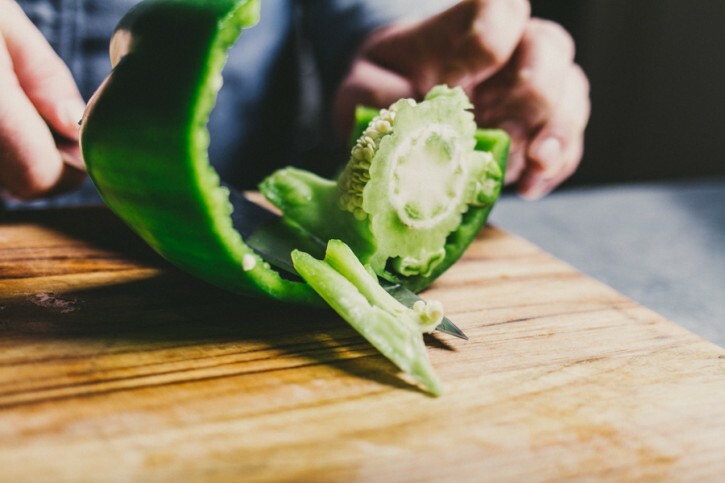 Place in the refrigerator for one hour. Preheat your Big Green Egg to about 425ºF, with a Paragon Casual Cast Iron Plate Setter installed, grill/griddle side up. Place a Lodge Logic 7 quart dutch oven on the plate setter to preheat. Remove the steak from the bag. Pat dry with paper towels. Season all surfaces with Obie-Cue’s Fajita Fabulosa Rub. Let the rub soak into the meat for 10 minutes. Meanwhile, put a little oil in the dutch oven and add the peppers and onions. Season with Obie-Cue’s Fajita Fabulosa Rub, and cook until the onions are translucent, but not too soft. Remove the dutch oven from the cooker and cover to keep warm. 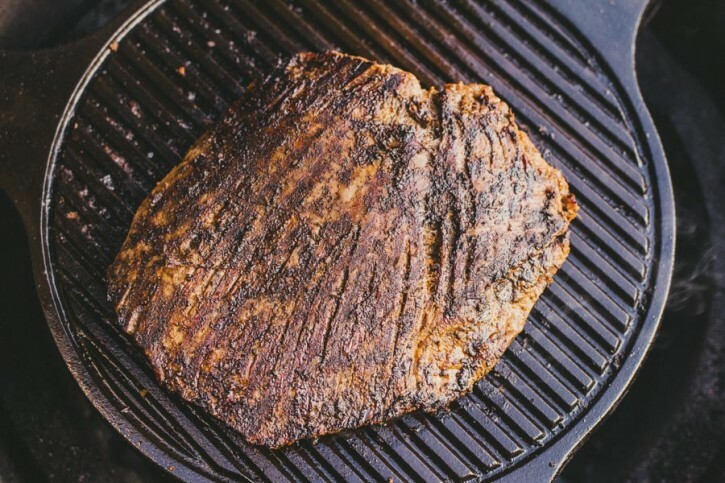 Transfer the flank steak to the grill. 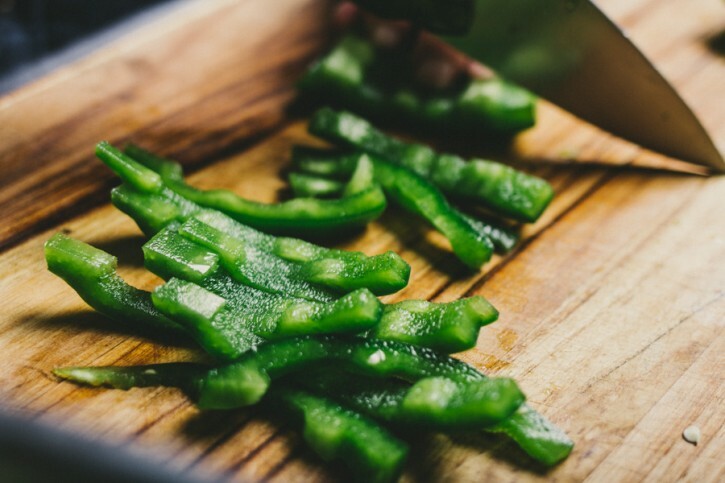 Grill directly on the cast iron plate setter on both sides until the internal temperature reaches 125ºF. Monitor the internal temperature with an instant read thermometer like the Maverick PT-100. Remove from the cooker. Cover with foil and rest 10 minutes. Slice the steak very thin, against the grain. 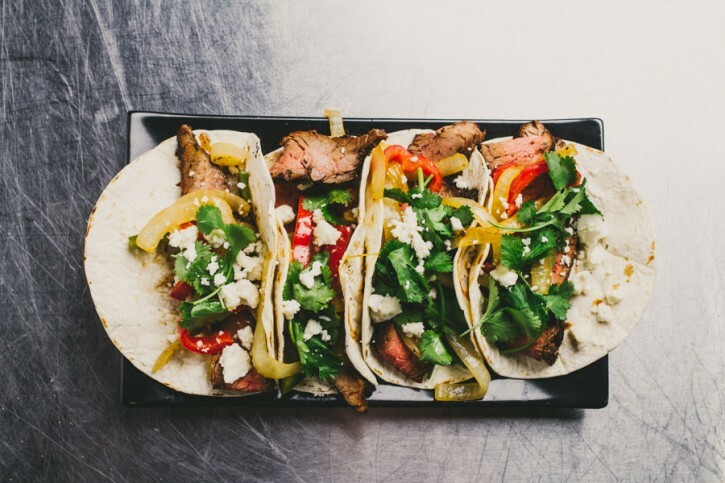 Build your fajitas by combining the steak and fajita veggies in a flour tortilla, topped with cilantro leaves and crumbled queso fresco.